San Francisco is a very unique city, ranging from all sorts of kinds of people. Being directly on the Pacific Ocean it was a site for mainstream immigration in the mid to early 1900’s. 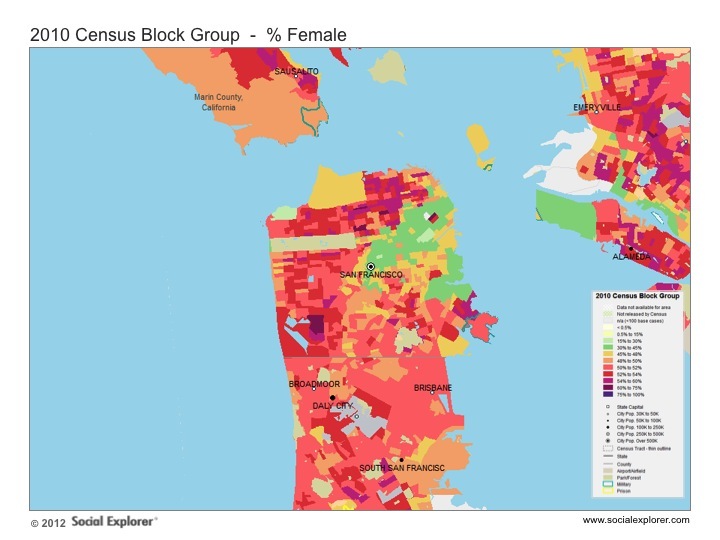 Currently in San Francisco the population is a little over 800,000. About 48% of this population is white/Caucasian, 33% Asian, 15% Hispanic, and 6% African American. 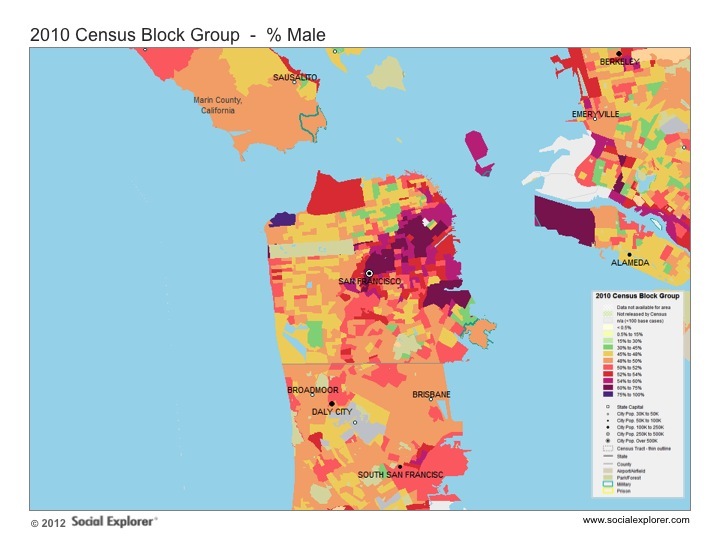 With Chinese immigration playing such a critical role in San Francisco’s history this high percentage of Asian citizens is not surprising. Chinatown is a huge neighborhood in San Francisco and is what San Francisco is sometimes known and recognized for. 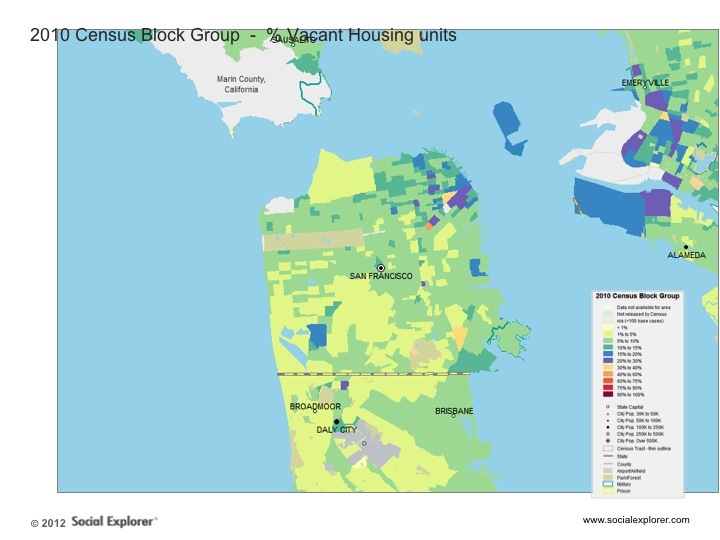 San Francisco has a housing rate of 37% with over 300,000 households. 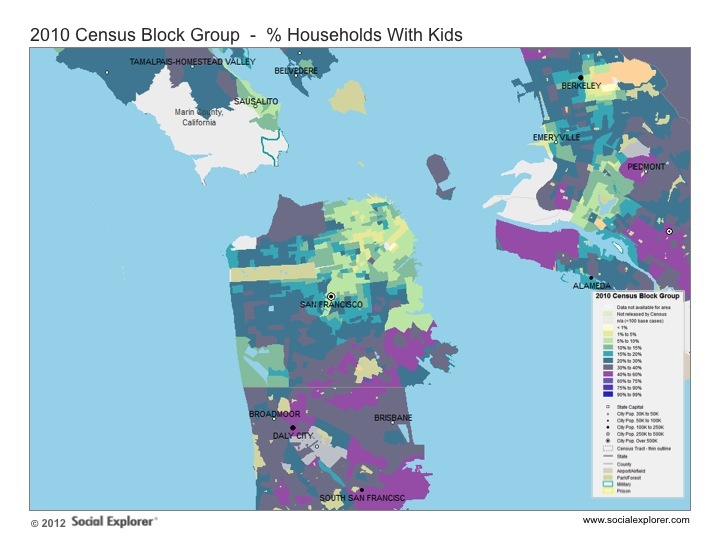 The median income for these households is $72.9k. 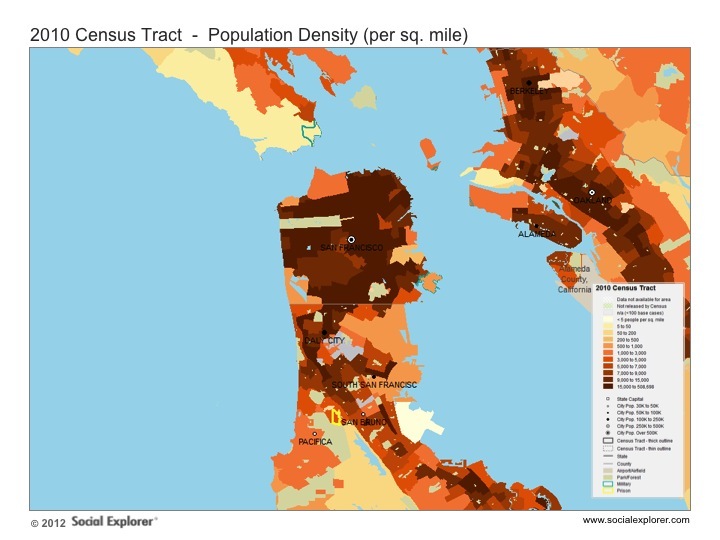 In the city of San Francisco however, 12.3% of people are below the poverty level. 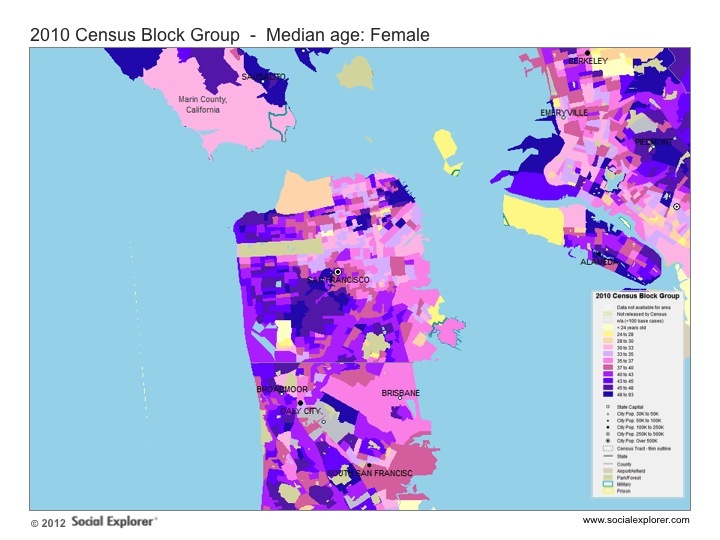 With only 46.87 square miles San Francisco has a little over 17 thousand people per square mile. 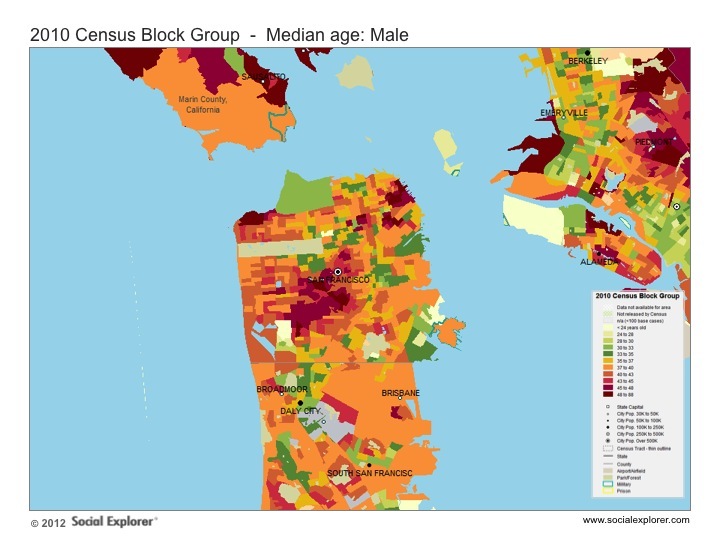 This just accentuates the point that San Francisco is extremely dense and unfortunately makes the planners jobs that are trying to expand and grow downtown even harder. 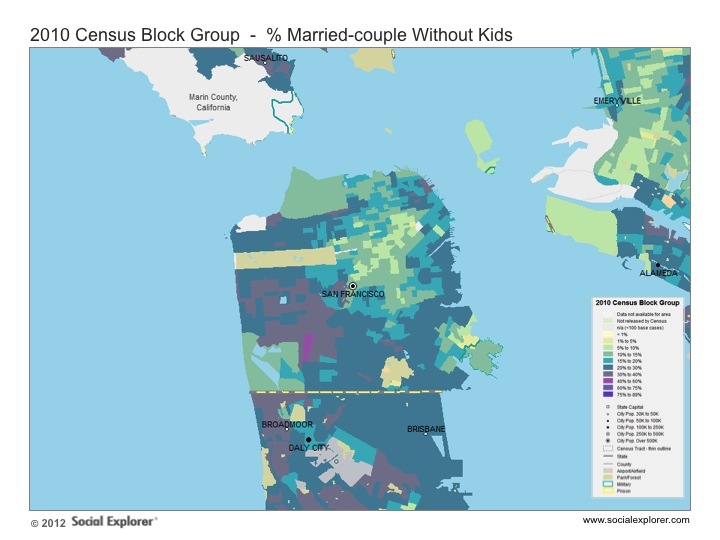 With this graphical population data, we can extrapolate some information about the various neighboorhoods of San Francisco. Each neighboorhood has a distinct personality that's made by the people who live there. 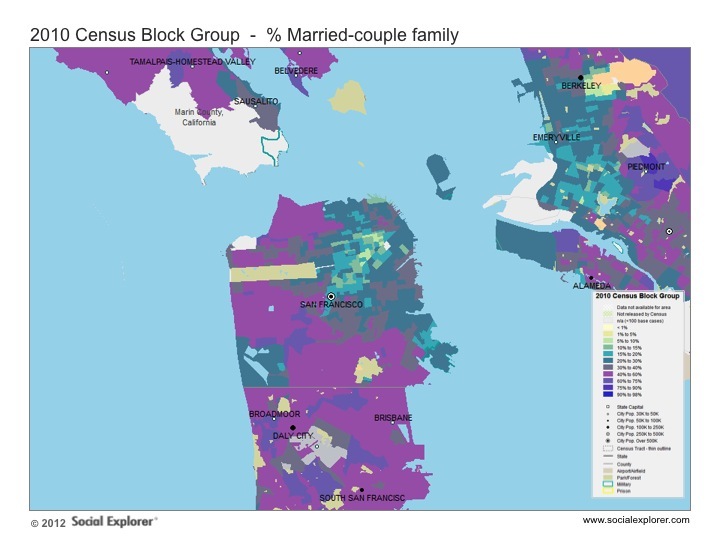 There appears to be a relatively clear demarcation between the north east neighboorhoods which include Mission, Downtown, Nob Hill, the Haight and more and the south west neighboorhoods including Richmond, Sunset, Twin Peaks and Hunter's Point. 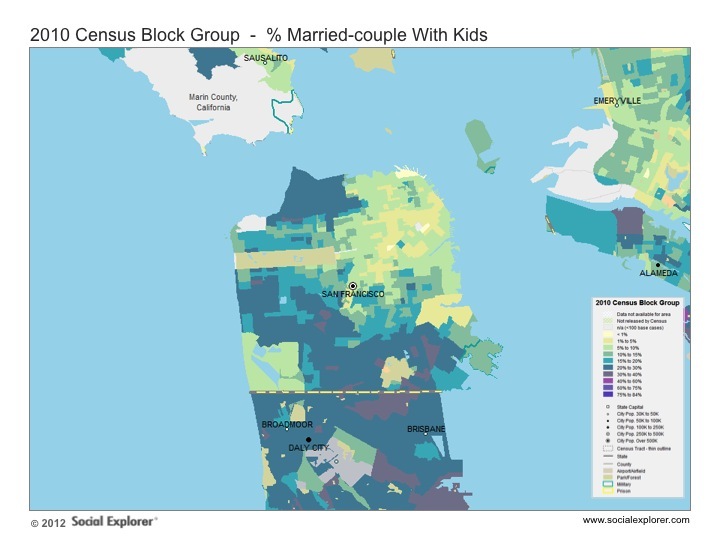 The North East neigboorhoods have a much younger population. The residents are primarly non-married and without kids. 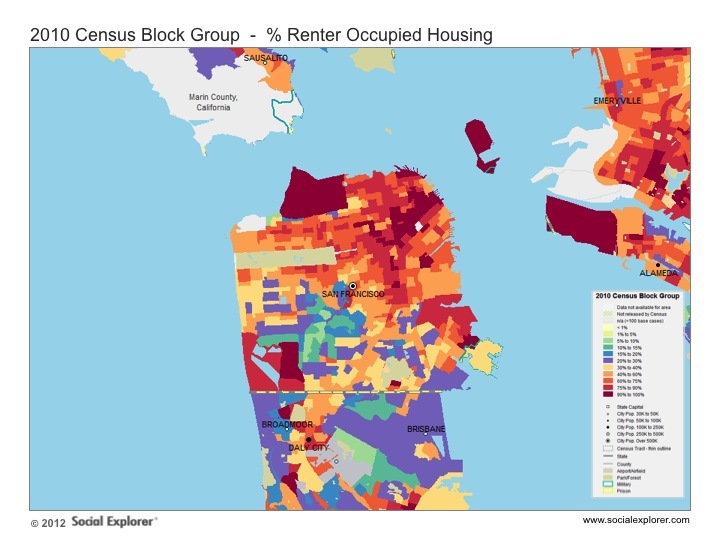 They rent as opposed to buying most likely because the area has more multi-family apartment style buildings as opposed to the more suburban area in the South West area of San Francisco. This area also has a higher male to female ration. 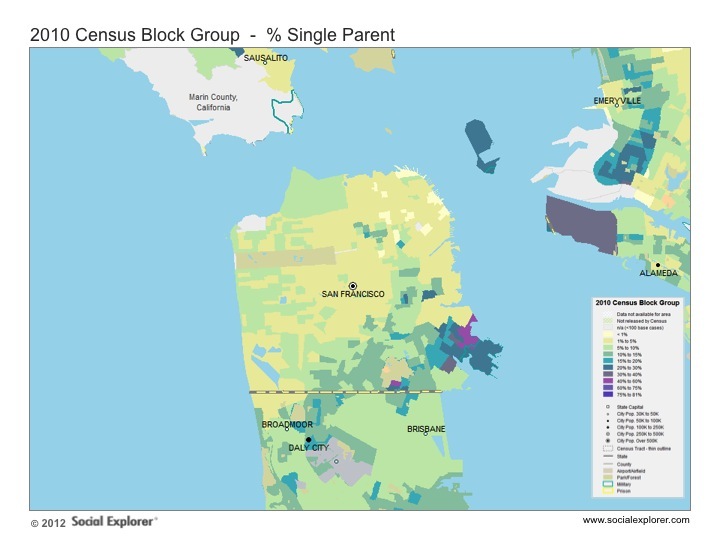 The South West area of San Francisco is older families, many with children. The houses are primarily bought as opposed to rented, expect in the small area around Lake Merced. There's a higher female population here. 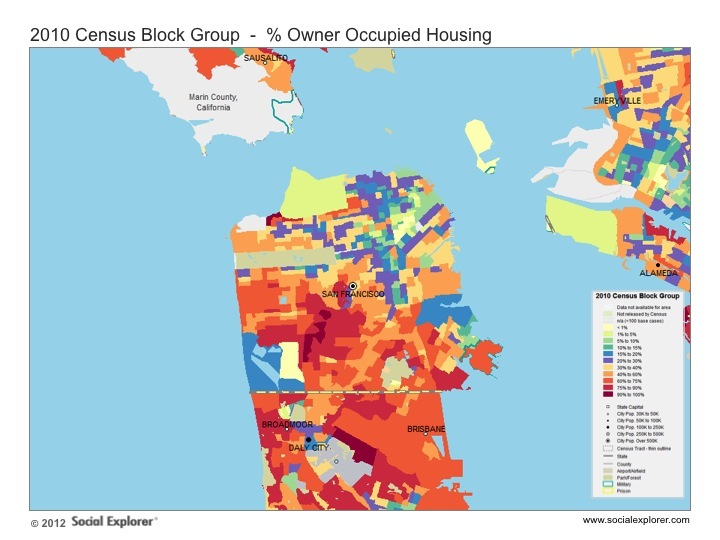 There's currently a higher rate of occupied housing in region, most likely due to its more affordable nature when compared with the exorbitant rent prices of downtown, plus the longer term investments people are making with for-sale housing. People aren't going to be moving between housing units and leaving them vacant as often when they've settled down.